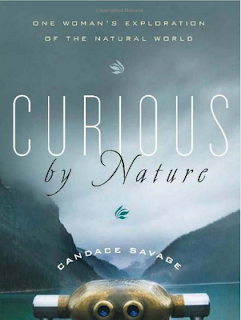 Candace Savage is a Saskatoon-based author who has written more than two dozen books on nature and cultural history. Her books clearly demonstrate a love and respect for the natural world – from bees to crows to the northern lights and the native prairie. Candace grew up in small town Alberta. Most of the people she knew were farmers, bankers, teachers, or housewives. “I was quite old before I realized that people wrote the books I read,” she says. As a result, she was very nervous and apprehensive about becoming a writer. Fortunately, there was a local trade publisher, The Western Producer, in Saskatoon where she was now living, and she knew one of the publishers. She was hired as a freelance editor and has never stopped writing. In addition, Candace has stayed with the same publisher from the beginning, and it has been a supportive relationship based on friendship and mutual regard. Bees: Nature’s Little Wonders is an entrancing mix of science, history, mythology, and literature. 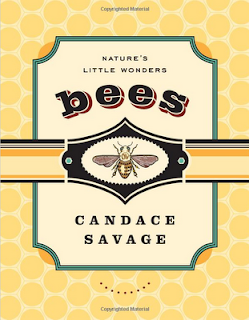 Candace deliberately chose this approach because she knew she needed to create a warmth of connection between the reader and the subject because bees sting, and they don’t have a familiar face to create a sense of kinship. Candace used the story of two entomologists in wartime Germany to serve as intermediaries between the public and the insects. Photographs, poetry, myths, and legends also help to bridge the gap. “There’s lots of sweetness to surround the sting in the tail,” she says. The sharp decline in honeybee populations can be traced to industrial agricultural practices and out-of-control problems with diseases and pests. Bees: Nature’s Little Wonders paints a shocking picture of bee hives being transported by truck from Florida to California to pollinate a rotating series of crops – itinerant labourers with no home to call their own. Candace has just finished writing her latest book (to be published in 2012), tentatively titled A Geography of Blood. She says it’s the first time she has written in the first person. 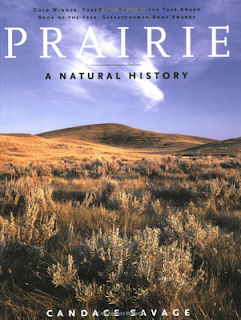 Candace and her partner purchased a house in Eastend, SK, when she was writing Prairie: A natural history, and her latest book is based on the stories she has collected about this place. It focuses on the late 1870s and 1880s when the buffalo prairie was being destroyed and the native people were being displaced to make room for newcomers. Candace believes that this is a wonderful time for writing as people have a voracious appetite for the written word. But it’s a tricky time to make a living as a writer. The emphasis on electronic media has left the book and magazine publishing industry very fragile financially. “Thank goodness for the willingness of governments and people to support the arts and writers,” exclaims Candace. Without bursaries and grants, authors could not afford to research and write their books. If you are interested in becoming a writer, Candace will be teaching a one-semester course in creative non-fiction at St. Peter’s College, Muenster. The course is part of a two-year Writing Diploma offered by the College. Writing has been Candace’s way of getting an education and has raised her awareness of environmental issues. “The more you understand, the more you want to do something – to make a difference,” she says. 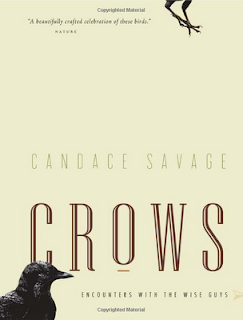 Candace hopes that she has been able to shape culture, just a little bit, through her books. “We need to change our way of thinking [about the natural world], so maybe it does pay to use words to change hearts and minds,” she says. Candace supports a number of environmental organizations and is on the board of directors for The Nature Conservancy, Saskatchewan Region. She feels especially connected to the Old Man on his Back Prairie Heritage and Conservation Centre through her friendship with Sharon and Peter Butala, the previous owners. She is committed to helping The Nature Conservancy conserve the land and acknowledge the central importance of ranching in grassland conservation.